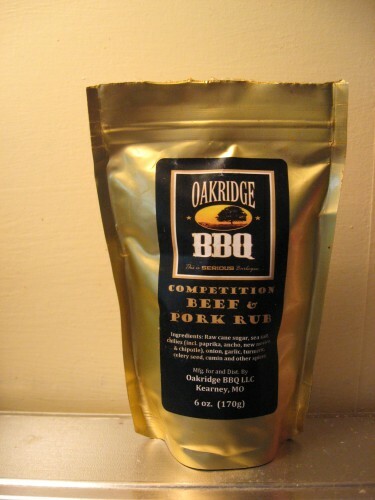 Today’s rub is another offering from the Oakridge BBQ line of rubs and seasonings — Oakridge BBQ Competition Beef & Pork Rub. Ingredients: raw cane sugar, sea salt, chiles (including paprika, ancho, New Mexico, and chipotle), onion, garlic, turmeric, celery seed, cumin, and other spices. 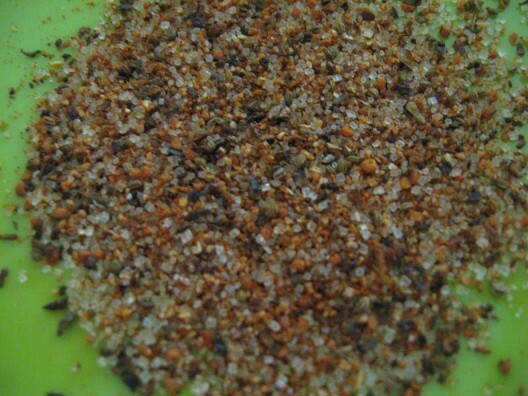 As you may know by now, I like to check out the composition of a rub/seasoning as well as take a taste test. The taste test determines whether or not a rub can feasibly be used by itself as a substitute for salt, and I like to know the potential flavors that will be imparted by the rub. I judge by three different criteria when looking at a rub by itself: appearance, aroma, and a taste. With the rub claiming to work well on pork and beef, I put this seasoning through it’s paces. The first test run was hamburgers. I did not get any pictures of the burgers, but trust me when I say that the seasoning added nice flavor to the burgers. 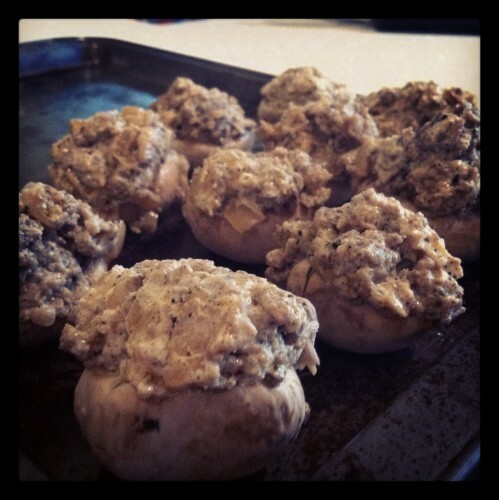 Next test was a bit out of the box for what I usually do… stuffed mushrooms. For the stuffing mix, I browned some locally ground sausage with a liberal amount of the seasoning. Afterwards, I sauteed diced onions and mushroom stems in the sausage drippings. All of this was combined with sour cream and more seasoning, stuffed into mushrooms, and cooked at 350 degrees for 20-25 minutes. The seasoning added a nice smoky blend to the earthiness of the mushrooms. The final test was a more traditional BBQ test — ribs. More specifically, spare ribs trimmed down to a St. Louis style cut. The ribs got a light coat of vegetable oil (to act as an adhesive agent) and a very liberal amount of the rub. 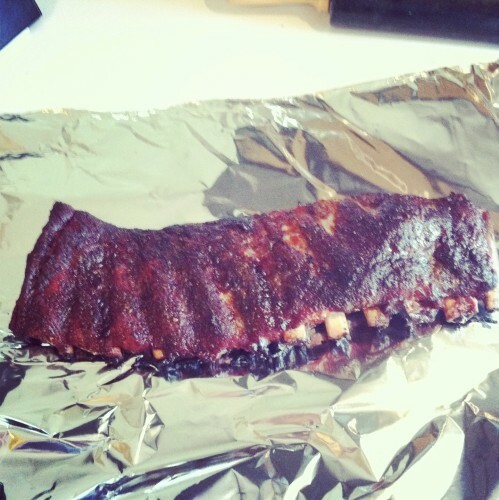 The ribs were cooked at between 250 and 275 degrees for approximately 5 hours (the last 2 hours were foiled). 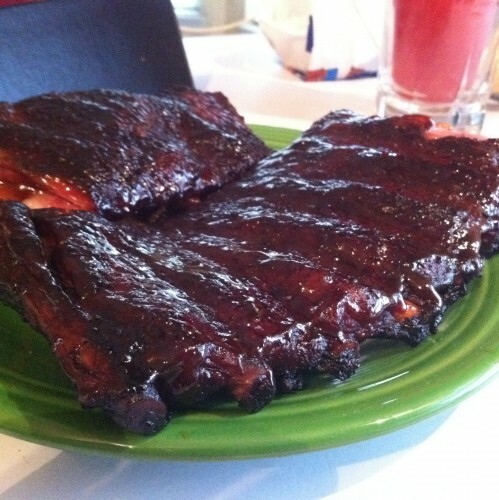 A finishing glaze was applied while the ribs rested, and it was time to eat! The ribs were a bit salty, but I attributed that to my liberalness with the seasoning on the ribs and not the seasoning itself. Even my wife (who usually prefers baby back ribs to spare ribs) commented that these were the best ribs I’ve cooked. great job again Wayne. I like this rub and tasty as well on beef. have not tried on pork yet and will do it soon. It will work well on pork, as it adds a savory component. It’s potent, so don’t completely saturate the pork with it. Great review and pics Wayne! 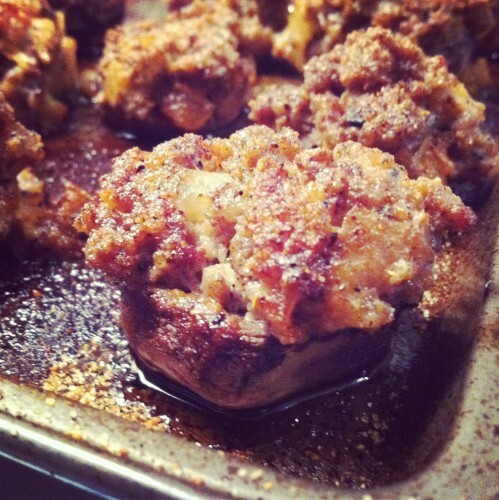 The stuffed mushrooms looked different and great! Thanks! I wanted to do something different, so stuffed mushrooms it was! I have tried many rubs but not one has stood out. I’ve read some of the reviews and I think I will try this one. It sounds like this is what I am looking for, thanks so much! !